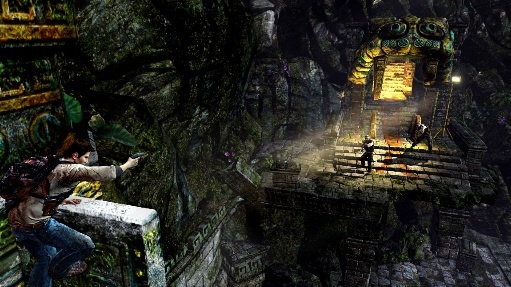 Uncharted: Golden Abyss is but one of several cool looking games set to appear on February 22. Sony has yet to reveal the official (and full) lineup of games for PlayStation Vita's February 22 U.S. and European debuts, but based on what we know, it may go down as the most impressive collection of titles in recent memory. Barring some unforeseen disaster, Uncharted: Golden Abyss is clearly the number one game to buy, and for good reason. It looks gorgeous, makes use of Vita's best features (including the rear touch pad) and builds off the beloved and million selling franchise. Bottom line, you don't purchase a PlayStation Vita without this game. Period. Beyond that, there are a handful of promising titles that will probably find their way into our shopping carts, starting with Wipeout 2048, the next iteration in the popular futuristic racing series that features cross platform multiplayer with PS3 users. Then we have Namco Bandai's Ridge Racer, which will hopefully be just as good if not better than the excellent 2004 PSP launch effort. Following that, we'll turn to Capcom's Ultimate Marvel vs. Capcom 3. In fact, we plan to skip this year's console version to preserve the "wow" factor of playing it on the go. 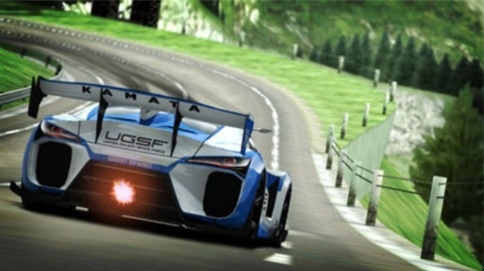 We find it hard to resist a new Ridge Racer. See that? We've already spent (at the minimum) $160 merely on software alone. A scary thought, considering there's still Gravity Rush, Hot Shots Golf, Touch My Katamari, Army Corps of Hell and ModNation Racers: Road Trip to consider. We'd even think about playing Little Deviants, so long as Sony prices it accordingly, and what about Sega's Super Monkey Ball: Banana Splits? There's a great chance it'll be there as well. Keep in mind that such a collection of games didn't happen by accident. With smart phone gaming on the rise and with 3DS picking up steam, Sony needs to come out firing in order to make Vita a success. We just hope our wallets withstand the punishment.